Steve Bannon, former aide and political guru to US President Donald Trump, has a new mission: he wants to unite right-wing and populist parties in the European Union. His organization, The Movement, will try to influence next May’s European elections. Bannon, the former head of Breitbart News, the ultra-conservative website renowned for its strong anti-immigration rhetoric, became Trump’s primary strategist thanks to his work during the Republican primary campaign. Their collaboration lasted for seven months, but the relationship turned sour after a series of policy disagreements. The outspoken Bannon was particularly vocal in his criticism of the president’s policy towards North Korea, resulting in his dismissal from the White House last August. Now Bannon is targeting Europe. He wants to replace Washington with Brussels as his major theatre of operation. 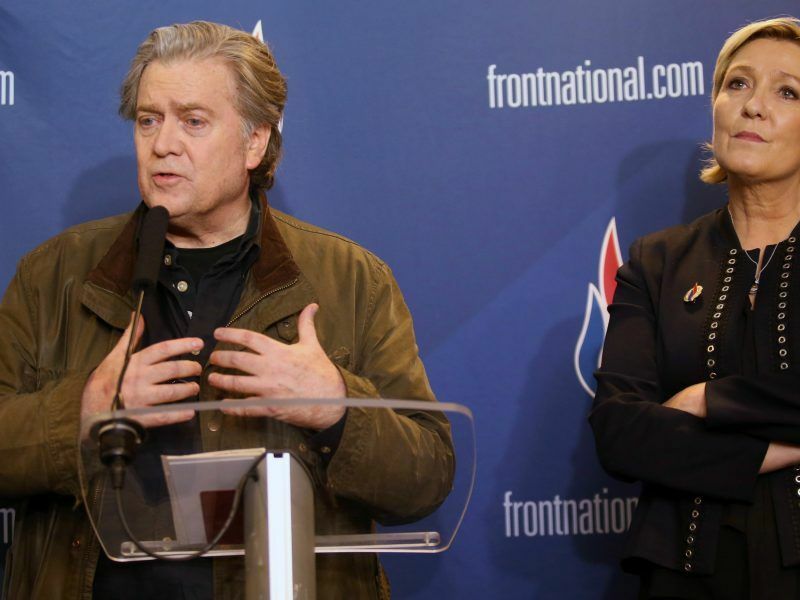 Bannon’s endeavor is to unite the right end of the European political spectrum in time for European Parliamentary elections that will take place next May. “He is a person who presents himself as a man with strong statements, but at the same time he is looking for a place where he will play a major role in the future, to some extent motivated to find allies and to expand and strengthen this platform,” said European Parliament Vice-President, Pavel Telička. “He will be focusing primarily on the interests that are closest to him, where he can use other populist forces, but he is also somewhat vulnerable, in that he could be easily targeted by his opponents and those that do not share his ideology,” explains the Czech MEP. 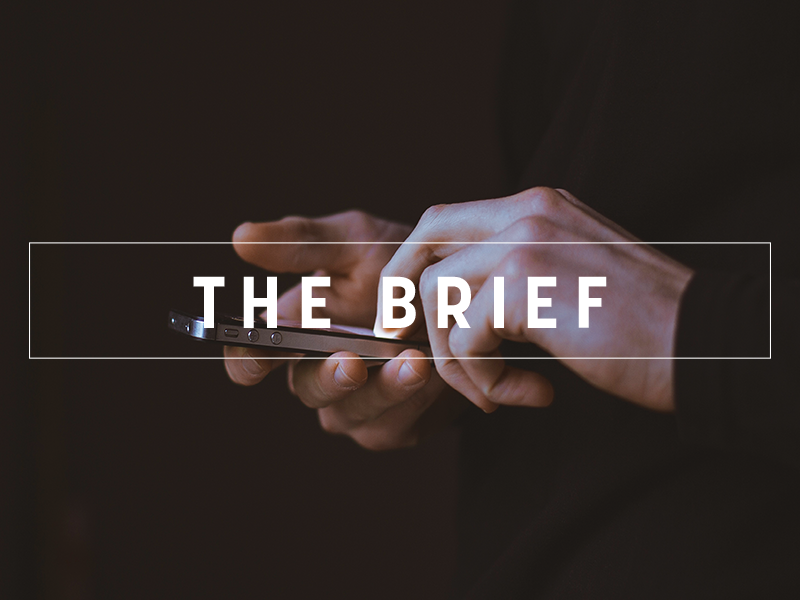 His Movement organisation will initially offer advice and research on how to lead a successful election campaign, but is effectively starting from scratch. Its Brussels office is scheduled to have just ten employees. Bannon sees it as a rival to the liberally-oriented Open Society Foundation of the Hungarian-born financier and philanthropist, George Soros. As for the elections to the European Parliament in the Czech Republic, according to Telička, it will also depend on how the traditional parties will organize their campaigns. “People want development, reform, effort … (…) If the traditional parties come up with something that interests them, the SPD, the Nationalists, ANO (center) and Communists could fall,” he adds. 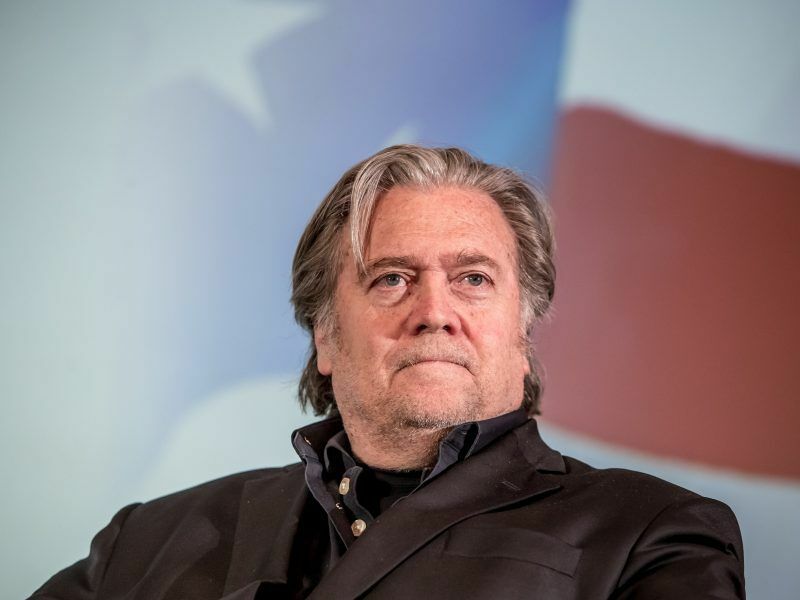 Another Czech MEP Jan Zahradil, who is a leading member of the eurosceptic European Conservatives and Reformist group, expects the May European elections to bring a political earthquake, whether Bannon engages himself directly in the campaign or not. “Regardless of his engagement and the foundation, I think that the elections to the European Parliament will result in an earthquake with the mainstream parties losing major ground and processes critical to EU being strengthened,” predicts Zahradil. Zahradil’s ECR group was founded by the UK Tories when David Cameron was Prime Minister, and the eurosceptic group faces a challenge following Brexit, which will deplete it of its 19 UK members. “There are two [eurosecptic] streams, moderate, where we sit, and radical, like Mrs. Le Pen. We will not be engaging in Mr Bannon’s project”, the Czech MEP said, adding however that the political earthquake is necessary. “The political scene stagnates too long and it has to come to end,” Zahradil says. Bannon recently completed a series of meetings in Europe that he described as being a great success. In May, he visited Central and Eastern Europe, including the Czech Republic. He presented his view of the world directly in Žofínský Palace, a place of many important social and political events in Prague. He then traveled to Budapest to meet Hungarian Prime Minister Viktor Orbán, who is supposedly an admirer. 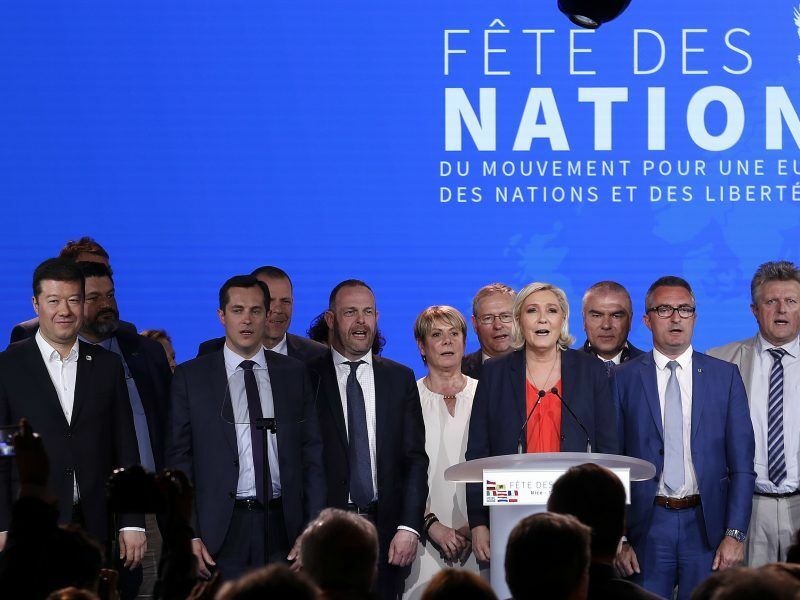 France’s Marine Le Pen led a rally of Europe’s far-right in the southern French city of Nice on Tuesday (1 May), to celebrate recent gains on the continent and devise a battle plan for next year’s European elections. 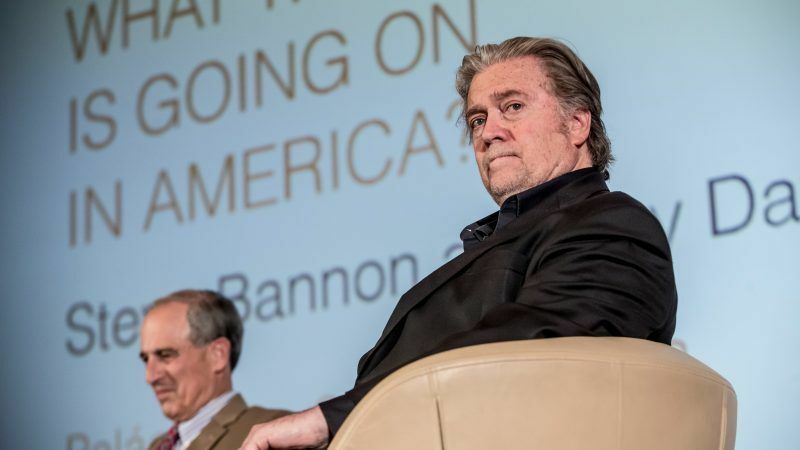 In the past, Bannon has worked with a number of populist and far-right parties in Europe, including Marine Le Pen’s National Association (formerly the National Front), the radical AfD, the strongest opposition party in Germany and the Italian Five Star Movement. He was very interested in the Italian elections, describing them as “pure populism”. In a statement to the New York Times, he said that Italians did more and in less time than the British did for Brexit or the Americans did for Trump. According to Bannon, the Brexit referendum in June 2016, laid the foundations for a “revolution” on the old continent. Bannon is dreaming about a “supergroup” within the European Parliament that could include up to one third of all MEPs after the May 2019 elections. Alice Weidel, head of the German AfD faction found Bannon’s idea “exciting and ambitious”. Bannon’s idea of the American right-wing influencing European politics did not reach to all EU members because many of them had previously criticized the United States. “Steve Bannon is trying to sell Trumpism to the Eastern Europeans but his ideologies are failing when they meet economic and military realities,” says Tim Gosling, writing for ForeignPolicy.com. As a counter weight to Bannon’s initiative, let’s CELEBRATE the European project by organizing massive music parades every month in the streets of all EU capitals till May 2019 for promoting the European Parliament (EP) elections, and mix the music floats with floats that provide stimulating and positive messages on the European project and to call for voting at the EP elections in May 2019. Such parades will energize the people all over Europe, especially the youth, who should (finally) come out and vote..!